UPDATE: Please read Other Market Apps on your Android Phone for a work around which really works. STEP FIVE: Now you can see two buttons Uninstall Updates and Clear Cache. 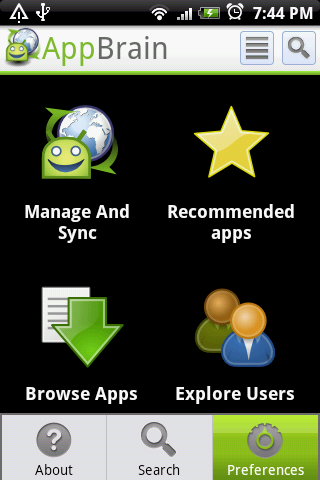 Click on these buttons which will uninstall Android Market Update and restore your Default version of Android. Don’t worry, you will not be glued with the Older Market version forever, Android Market runs an update service and will update the market after some time. STEP SIX: Now open Fast Installer from your programs. It will give you some information about the app with a Continue button at Bottom. Hit the Continue button; accept the Access Request by clicking Allow button and wait for 30sec or so. This will update your phone to accept applications directly from Appbrain. STEP EIGHT: All Done, Now visit http://www.appbrain.com/ Find the app you want to install, and click the big blue "Install" button on any app page and the download should immediately start on your phone. Please leave comments if this worked for you, also add your cell model and Android Platform info. This will really help others who read this! Thanks!